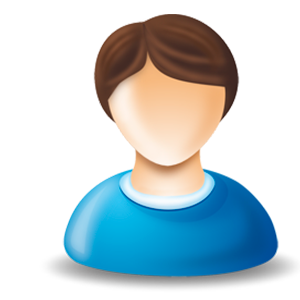 We go to the coast, pacific ocean through the desert, and return to Arequipa. a) On the off-road tour we will pass in between the volcanoes Misti and Chachani; then through the natural reservation Salinas Aguada Blanca; continuing through Pampa Cañahuas; the Colca window, which is the beginning of the Colca Canyon; through villages like callalli, Sibayo,Tuti, Canocota; we will go into Chivay through the Inca’s Bridge, in Chivay we’ll have lunch and later , in the afternoon we will traverse some villages on the right side of the canyon like Coporaque, Ichupampa, where we’ll be able to see the majestic churches. At night we will be able to enjoy the canyon’s thermal baths. b) On the on-road tour we will take the asphalt road to Yura, going through part of the natural reservation Salinas Aguada Blanca, the vicuñas homeplace, Vizcachani, arriving in Chivay, we will have lunch and in the afternoon we will go though some villages on the right side of the canyon: Coporaque, Ichupampa, where we’ll be able to see the majestic churches. At night we will be able to enjoy the canyon’s thermal baths. 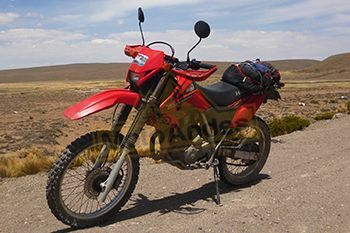 After returning from the Taquile Island, we will have a ride in motorcycle in the sorroundings of Lake Titicaca. We will visit Capachica, Pusi, in the afternoon we will be able to visit the Sillustani Chullpas, which were the tombs of the Hatuncolla (big men) chiefs; or alternatively, we could visit the south-east side of the lake: Chucuito. 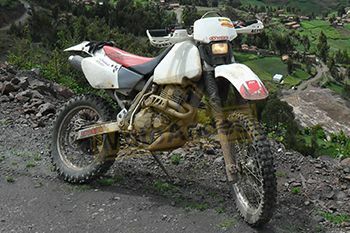 a) Off road tour going through Lampa, crossing the Tinajani canyon, Ayaviri, Sicuani, Cusco. b) On road tour we will take the asphalted road, and we will visit the beginning of the Tinajani Canyon, Ayaviri, Sicuani, Cusco. 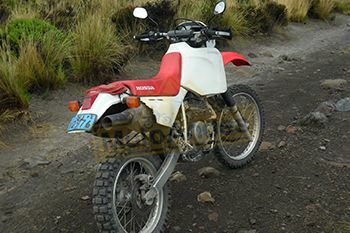 By the route Pisac – Chahuaytire, Colquepalta, Paucartambo we Will arrive to the Cloud Forest in the Manu, this stage of the trip is made on a roadbed road (dirt - on - off road, medium difficulty). We will have the whole day to enjoy the biodiversity of the region. We will return by the same way we came. 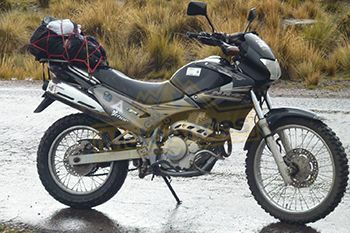 First thing in the morning we will visit the Pisac Ruins, then we will have a motorcycle excursion through the Sacred Valley of the Incas, up to Ollanyatambo. We will take the luxurious train in the Ollantaytambo station to visit Machu Picchu, on our way back we will spend the night in Ollantaytambo again.